Her initial loss with Weight Watchers was on the old program, she lost by counting points and walking. Her 2nd and final loss was right when Points Plus came out in fall 2010. She lost by doing Points Plus, run-walking, strength training, and some cross training. She still does everything she did to lose, just eating more P+ values. She still tracks, works out, and attends meetings weekly, which I believe is key to her success. She’s seen what works for me, is really the structure she needs in her own life. Accountability is key. 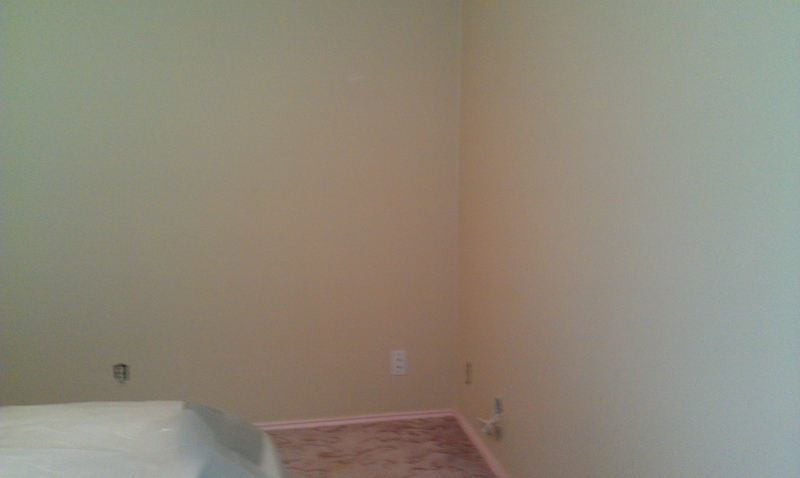 Her first before and after is here. The before is December 2006, the first after is December 2007. 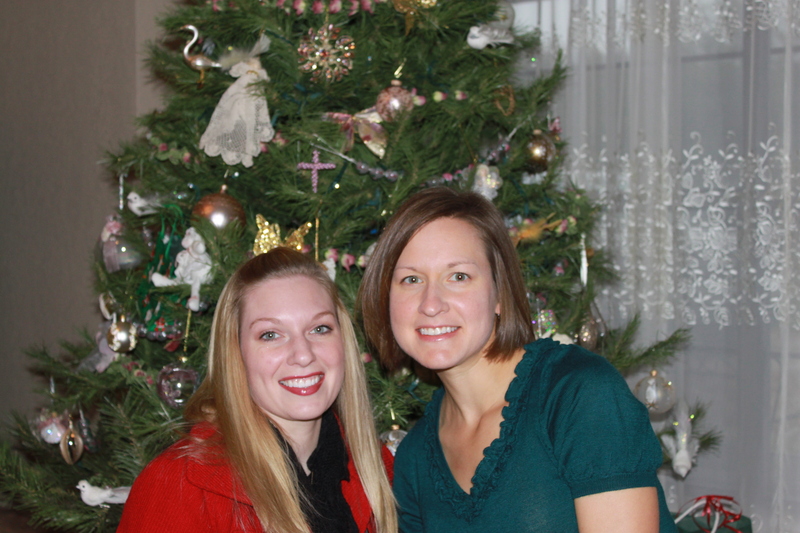 Here is a photo of us December 2011. 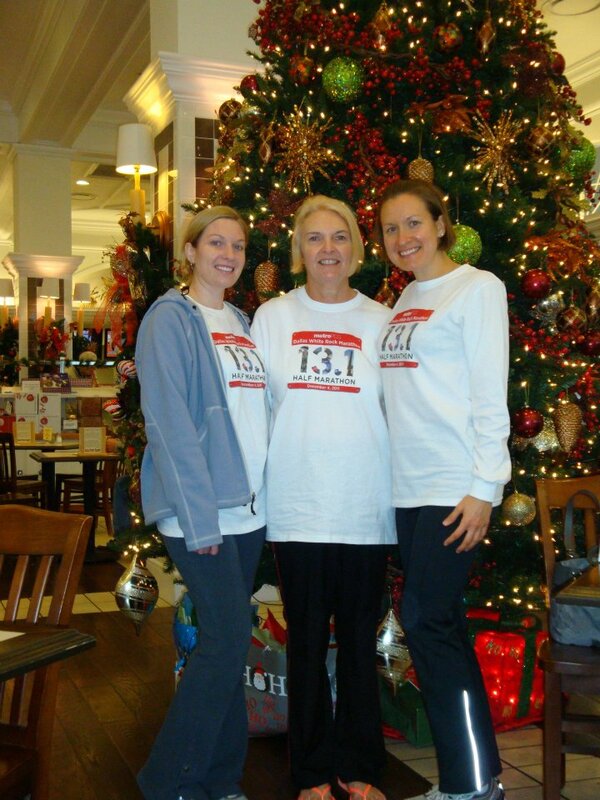 She’ll run her 3rd half marathon this weekend, which is also her 3rd in a year. That’s pretty awesome. The weather outside was frightful. Or at least it was starting at 7 am. I woke up about 5:30 tried to get my dad up to go hunting, but he is certainly not a fan of early mornings, so I got dressed to run, but then it was storming. I read blogs and caught up on emails instead. 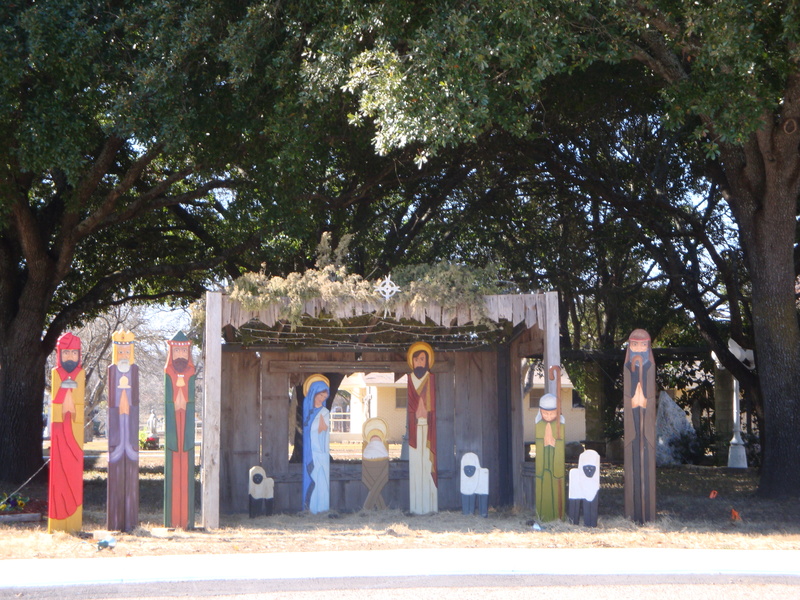 When mom and sister woke up, we drove to Hondo to put flowers at my grandma and grandpa’s grave and to take Christmas stuffed animals to the county hospital. I was glad the 3 of us were able to spend the morning together. Next thing we knew, it was time to go to church. 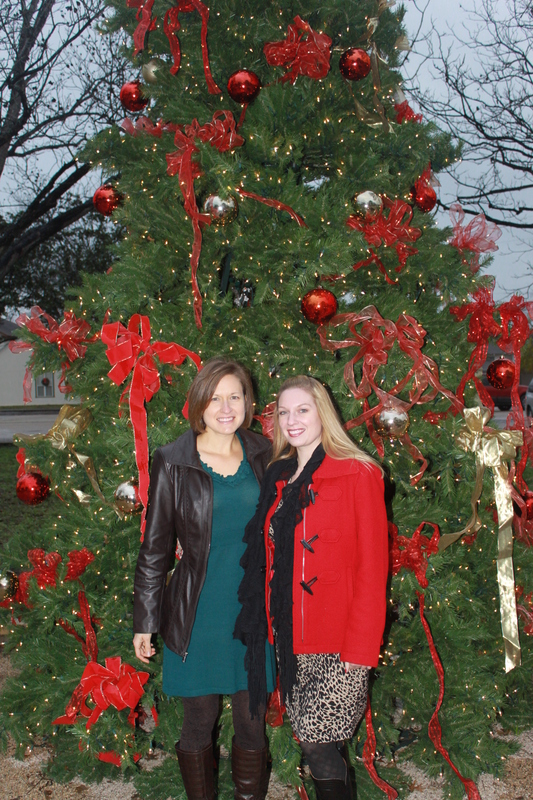 We took photos at the square after church was over. It had stopped raining, but it was 30 degrees and a bit nippy! 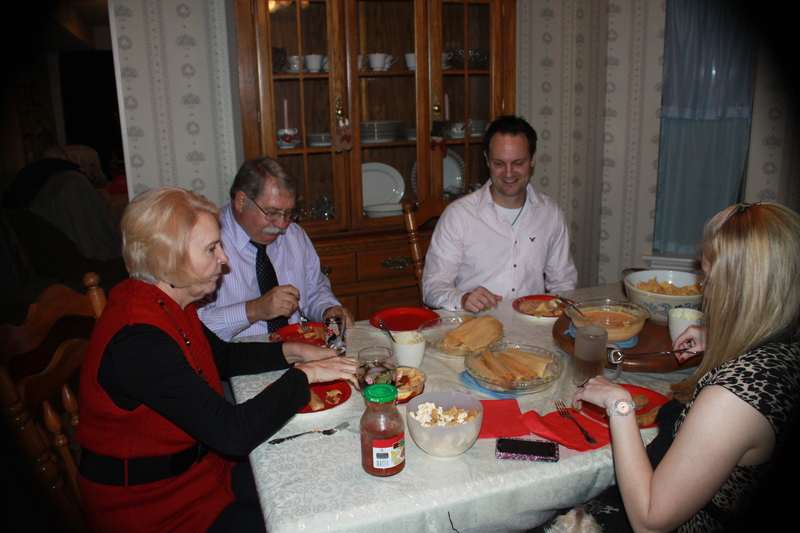 Our family does all of our Christmas traditions on Christmas eve. Church, tamales, gifts, movies. 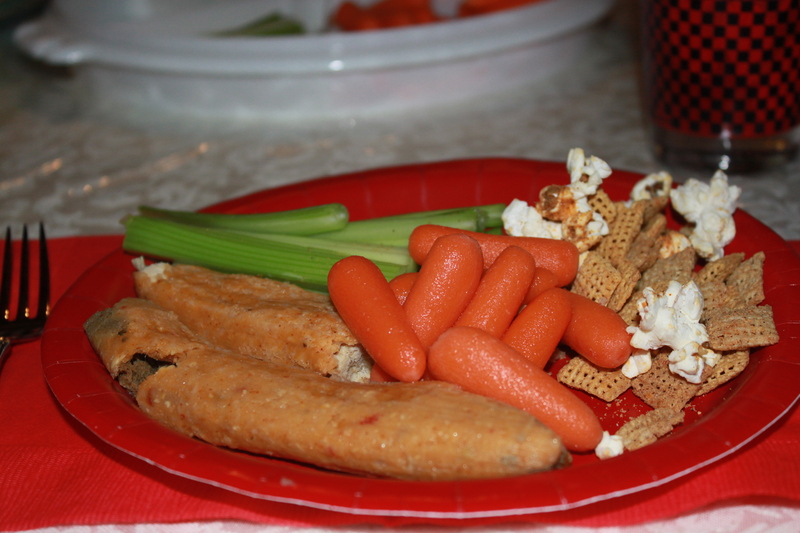 Our Christmas Eve meal usually consists of veggie tray, dips, queso, tortilla chips, tamales (we had chicken and beef). 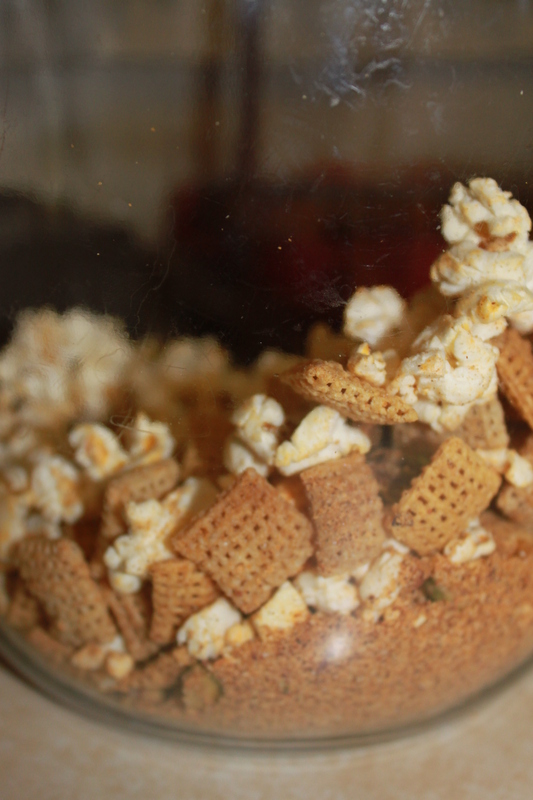 This year we also had garlic parmesan Chex mix (off the back of the box), gluten-free too. The tamales didn’t stand a chance. They are actually from Central Market, Ramiro Brand. The company is based out of Houston. Lard and Gluten Free. They come in chicken, pork, or beef. Mom and I found them last year and I love them! 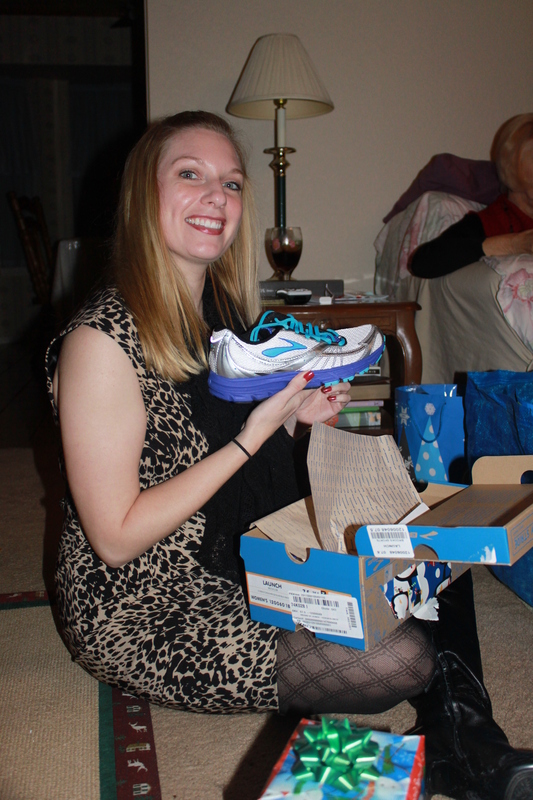 My sister really wanted to try Brooks, so I got her new socks, new shoes, and some other running goodies. Her Asics were giving her issues, so she got fitted again and opted for 1 of the 2 pairs of Brooks they recommended. Dad got a game dressing kit from me with a neat sheath to put on your belt, however, of 4 mornings, he rejected my requests to go hunting. We did go twice in the PM, but the conditions weren’t favorable either evening. Maybe I should have given him his gift earlier, to motivate him to wake up earlier. We rented Our Idiot Brother and Crazy, Stupid, Love. I’d already seen the first one, but I watched it anyhow. I fell asleep as soon as the 2nd movie started. What can I say? I woke up 3 hours before my mom and sister and 5 hours before the guys. 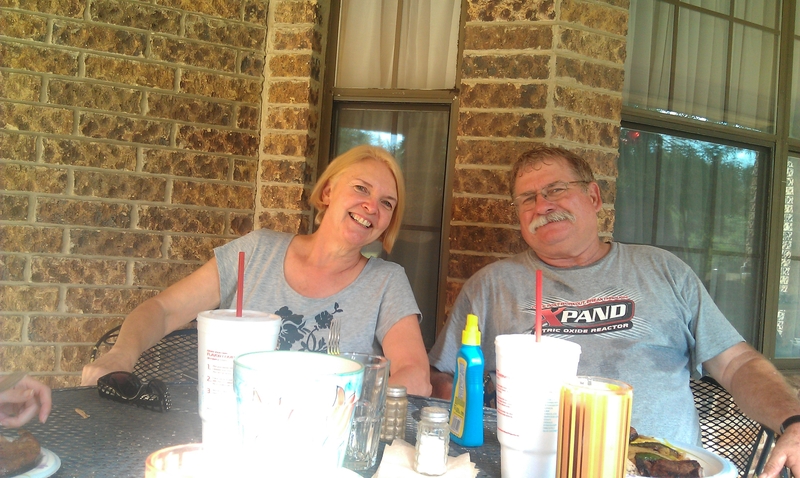 Nice day with the family, but I started missing Dan. We’ve never spent a Christmas together, and it doesn’t bother me for the most part, but I always start missing him when I am sitting alone in church. I know he only gets to see his family once a year, so it’s a necessary trip for him to make. Glad he’s able to enjoy the time with them, even if it’s short. Merry Christmas! 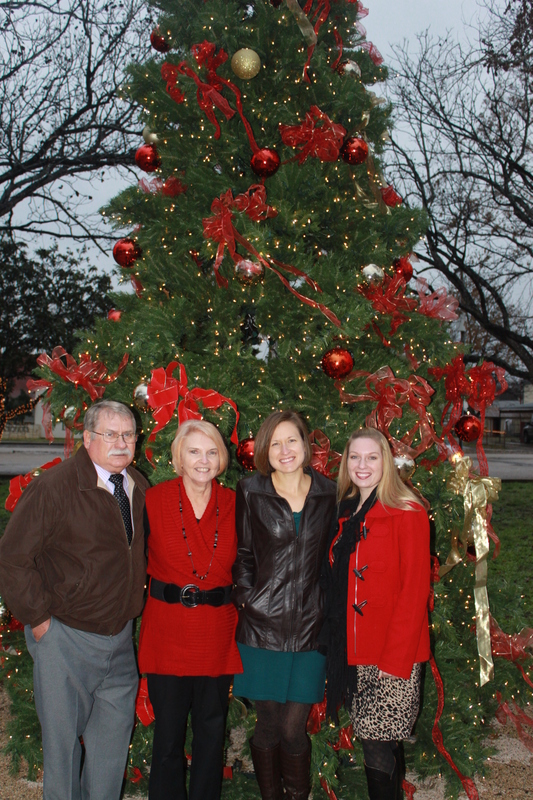 Hope everyone has a joyous holiday with their family and friends! I ended up not really sleeping at all on Friday night 😦 I laced up my shoes and ran a 7 miler in Schertz. Once again I had a crappy run. I had nothing. I made it 7 miles, but the pace was really slow, didn’t help that it was incredibly humid and warm at 6 am. I didn’t sleep well on Saturday night either. I did not workout Sunday. I hate missing on Sundays, but I just had nothing. 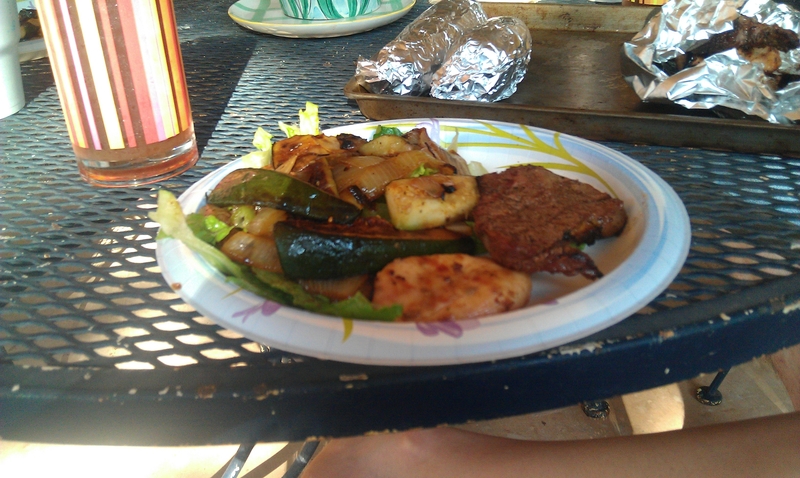 #1 lesson learned this weekend…I must eat regularly. This is the 2nd time that too much time has done me in. I didn’t eat between the sandwich on the river and the time we got food at Mozie’s which was about 8:30 (mostly because we were on the river). My stomach had a fit. It didn’t help that I didn’t have enough water either. The Comal River limits the size of the cooler you can take and I only had 2 drinks in the ice chest, the rest was Dan’s beer. The float took ALOT longer than i’d planned. 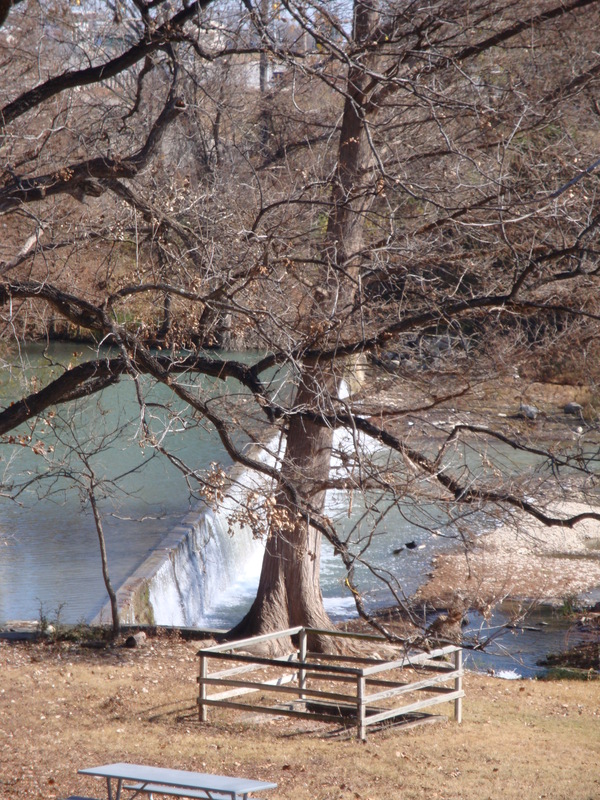 We’ve never stopped on the Comal before, and we did twice this time, which meant I ran out of food and water. I got naseous, very emotional, and weak. I ended up going back to our friend’s house with my sister and missing Micky and the Motorcars. Ate my Mozie’s dinner, took some medicine, and fell asleep on the couch with her dog. Woke up the next morning un-able to breathe and swallowing junk. My sister and I both had some sort of allergic reaction to something in the air. Nothing a run to Walgreen’s couldn’t cure in a couple of hours, but it was miserable. Saturday was nothing exciting: oatmeal, pb on Ezekiel, Subway turkey and swiss, apple, broccoli and carrots. Dinner was roasted turkey and avocado on rye with skinny fries from Mozie’s in Gruene. LOVE that sandwich. I do not like Subway, but I needed lunch for the river. Subway meat is 1 step above gross. But if I don’t have protein on a sandwich, I will be starving. So Subway it was. I needed something quick, close, and filling. Grabbed an giant apple to go with it. Sunday was equally un-exciting: skinny latte from starbucks, rice cakes with almond butter, tuna burger with side of veggies, greek yogurt. Dinner was a little more fun, although the coloration of my photo makes the chicken look raw! 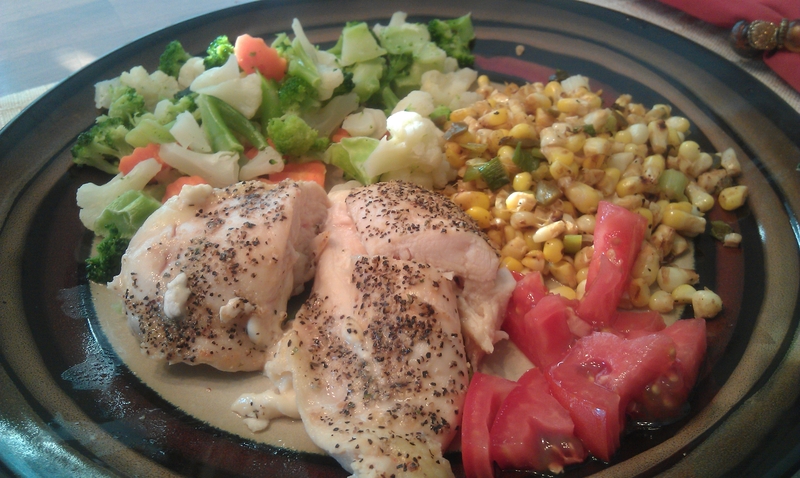 Cheesy stuffed chicken, sliced farm fresh tomatoes, spicy satueed corn, mixed veggies with EVOO drizzle. And yes, I bought REAL plates. We agreed that we liked them, so I’ll go back this week and buy another 4 person setting. You name the song, I think it was written about my hometown. Charlie Robison “My Hometown” (his hometown actually is very close to mine), Wade Bowen “God Bless this Town”, or Cross Canadian Ragweed “17”. I could go on and on. 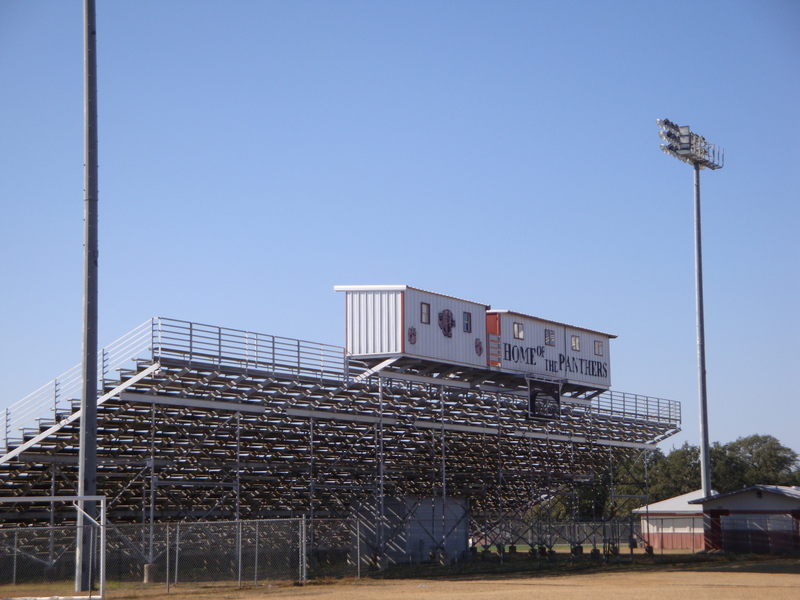 I swear Friday Night Lights was written about MY town. 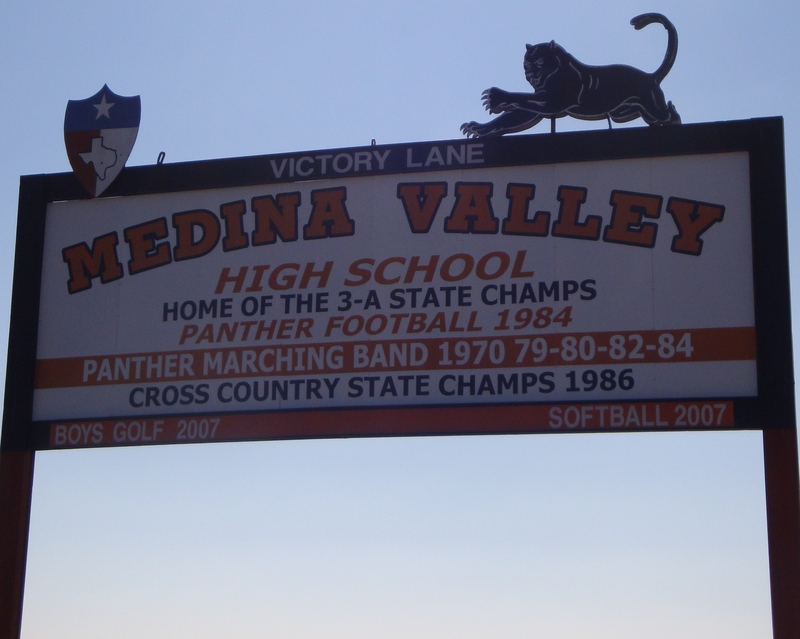 I went to Medina Valley High School, home of the Panthers. See how big football is? They care more about winning state in 1984, than golf and softball winning 3 years ago! Oh and they just built an indoor pratice facility for the football team. Sigh, only in Texas. Stadium looks the same, however the high school is brand new and the school I went to is now the Junior High. 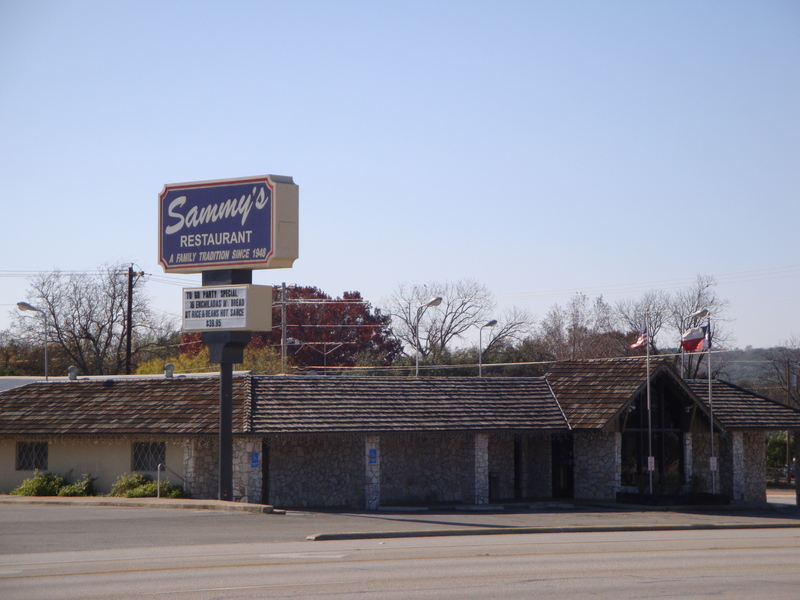 After football games, you had to go to Sammys. They have the best salad bar EVER! If they were open today or yesterday, I would have went. My usual back in the day was fried fish or chicken fried steak with their seasoned fries dipped in their house dressing. I’ve varied my choices there, but I still happily eat that house dressing, I LOVE Sammy’s House dressing. 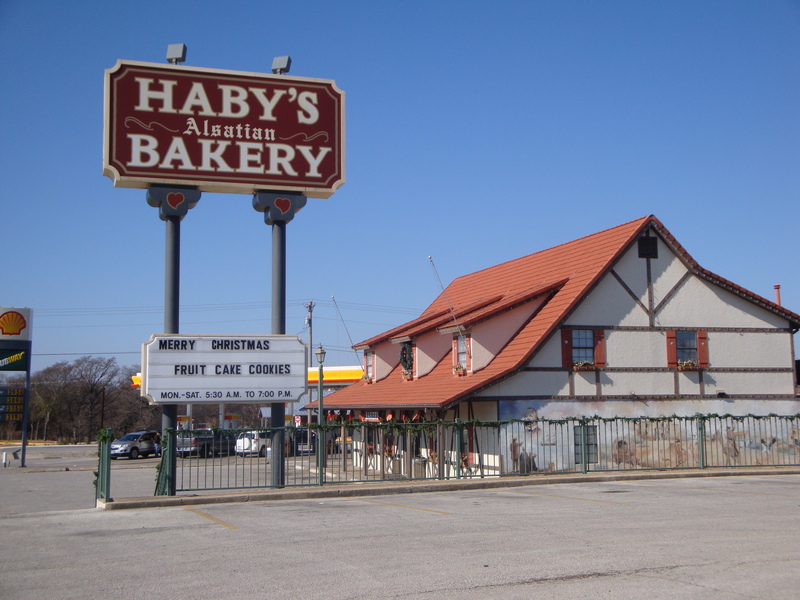 Directly across the street is the famous Habys Alsatian Bakery. Thank goodness they are closed today and tomorrow. I rarely go there when I come home, when I do, I usually only get an item or two. That place is DANGEROUS. I could use a cowboy cookie today though. Maybe next time. 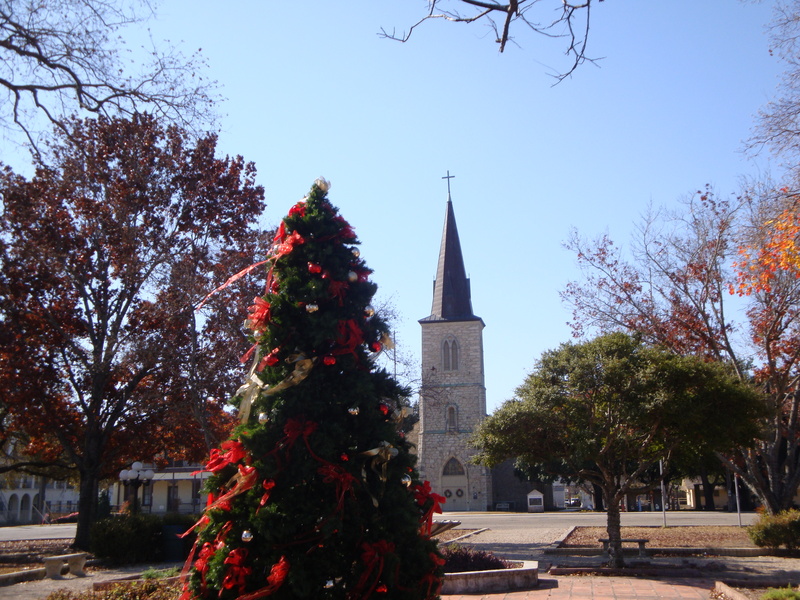 Speaking of famous and historic, the town is full of historical sites. Many of the original buildings from the French-German settlers are still standing. The original residents were from Alsace-Lorraine, France. 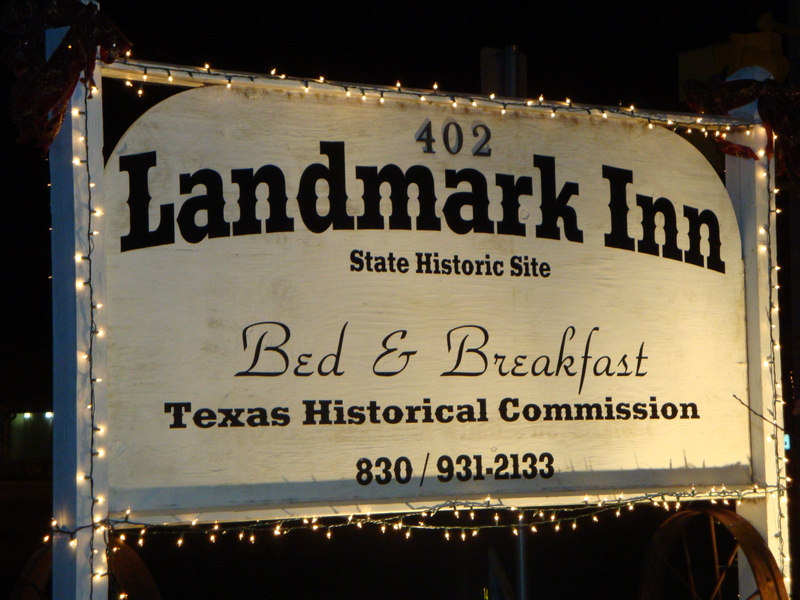 Famous Landmark Inn. 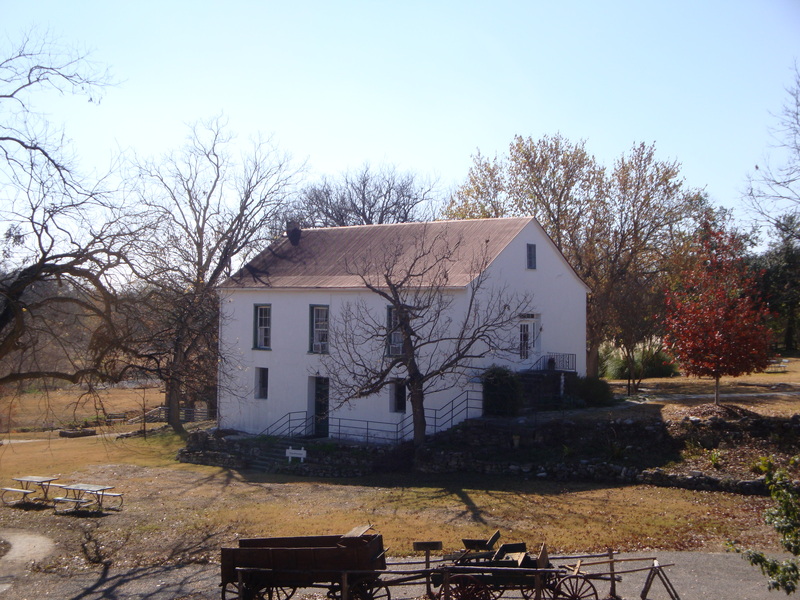 It’s now a bed and breakfast and a state historical site. It used to be a mill and hotel. 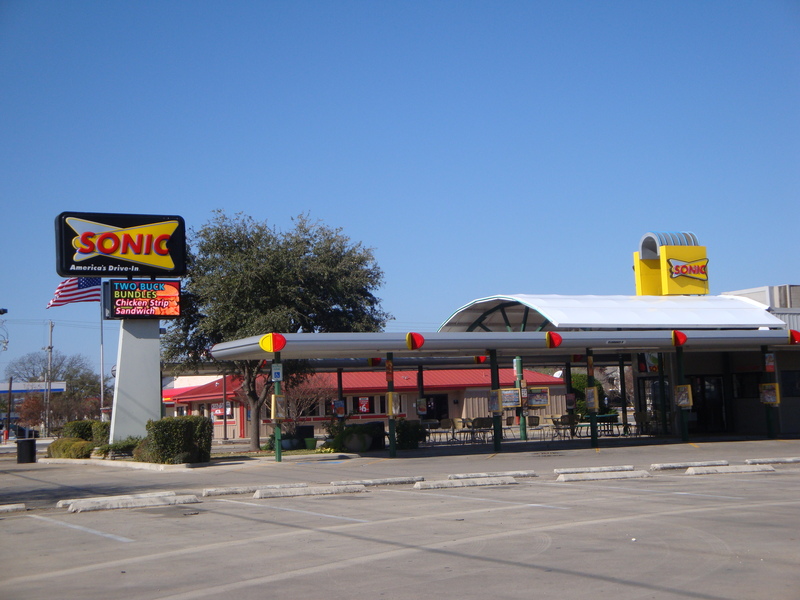 In high school, I helped open the Sonic and was one of the very first carhops in town. At the time, we only had a Dairy Queen and a Sonic (this was the beginning of my weight battle). Now there are quite a few fast food places. That’s it! 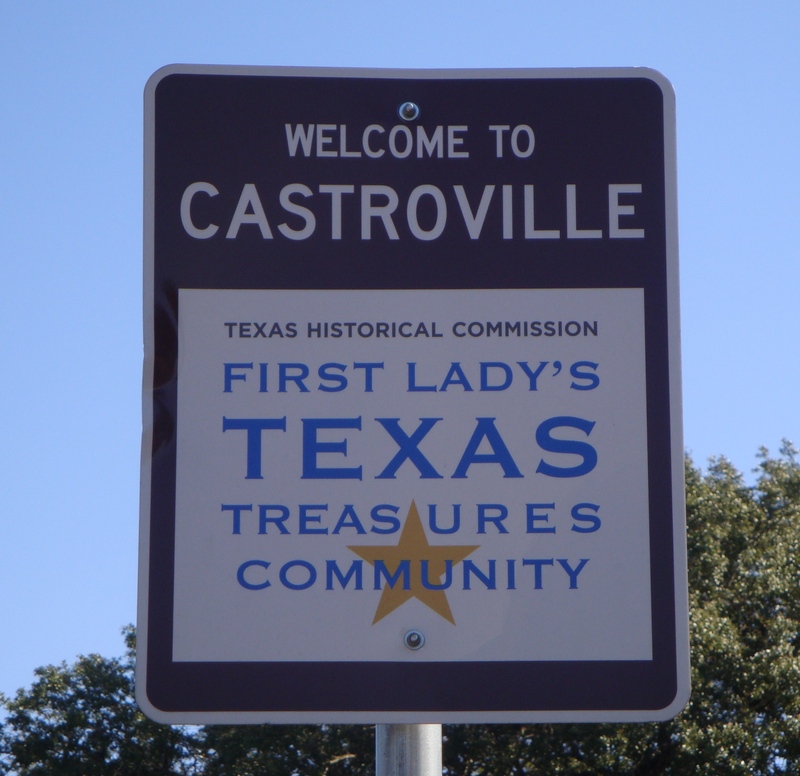 My little hometown of Castroville, Texas. Made a lot better time to my parent’s house than i’d expected on Wednesday night. 2.5 hours from the office to their house, which usually takes 2 hours with no traffic. Not too shabby, just hit traffic in the regular spots in Austin and San Antonio. Nothing exciting, ate dinner, unwound, went to bed. Got up and waited for mom to rise, so we could go to her gym. Sampled the French Meadow pumpernickel bread I got at Sprouts yesterday pre-workout (still on the fence on it). Got to gym around 6:30 am, she needed to run, I needed weights. It may be a small place, but it’s VERY nice and well maintained. Knocked out a pretty darn good workout. 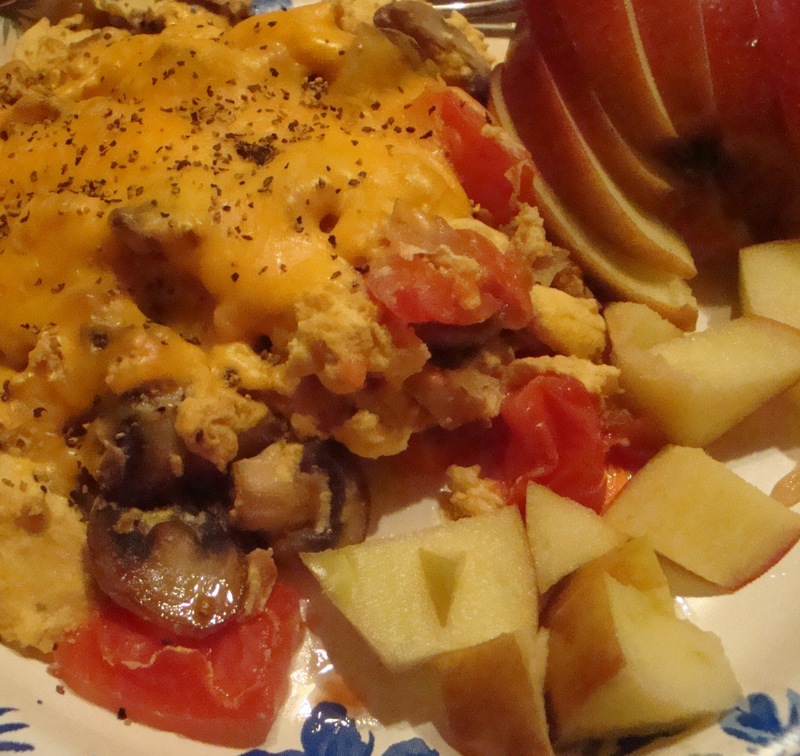 Came home and grubbed down on an egg scramble with onions, mushrooms, tomatoes and cheese, side of apple. Yes, I didn’t eat oatmeal for once. We got ready and jetted off for San Antonio to run some errands and have a little fun. First item of business was going to a Weight Watchers meeting together. 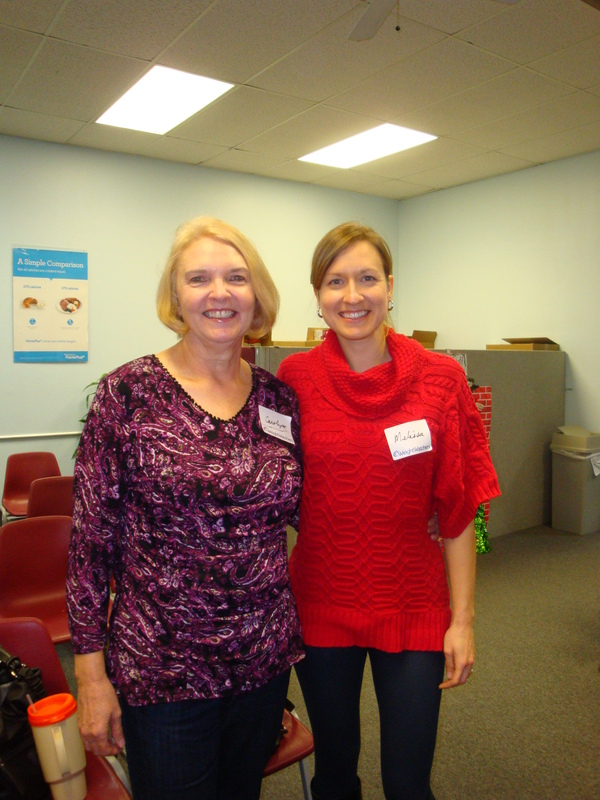 Mom joined officially on Monday to lose her last 5 lbs (she’s never technically been a member, she learned from me). However, with the new program, she wanted to learn from the center and ultimately become a lifetime member 🙂 I really want my momma to be able to keep the weight off. She’d made goal once before on her own with WW, but couldn’t keep it off. I really think meetings will help her. We had a good time. 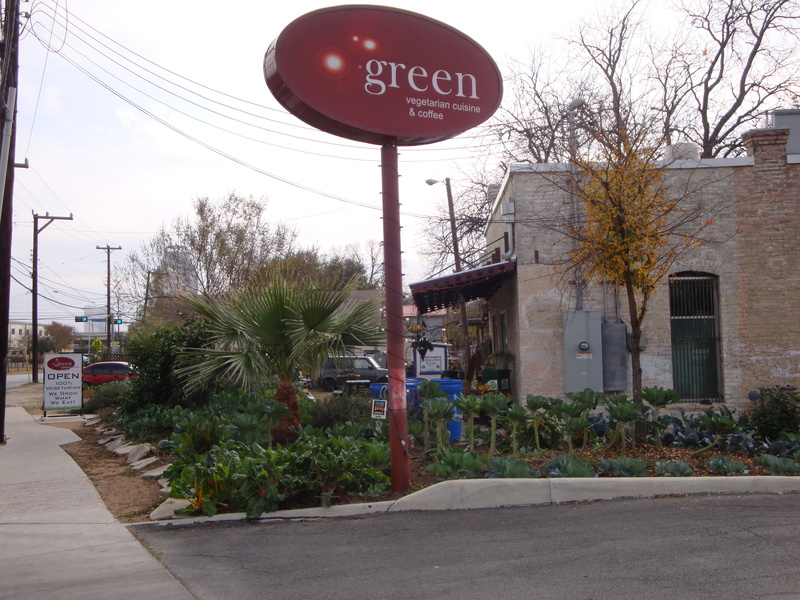 We then ventured out to lunch, which was the #1 reason I wanted to drive into San Antonio. 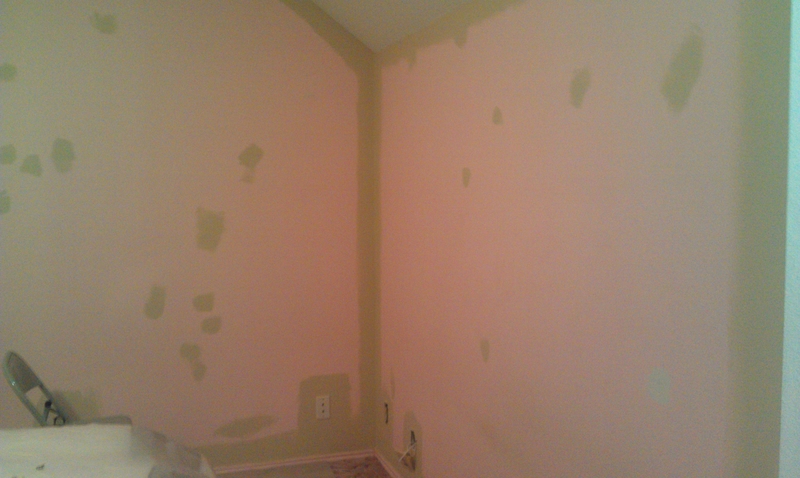 I’ve mentioned Green before. Tiffany actually recommended it earlier in the year. I had originally eaten there in the summer with my mom and we liked it. Since they aren’t open on Saturdays, we took advantage of the fact I was in town and it wasn’t Saturday! Last time we had the Mike and the Green Burger. 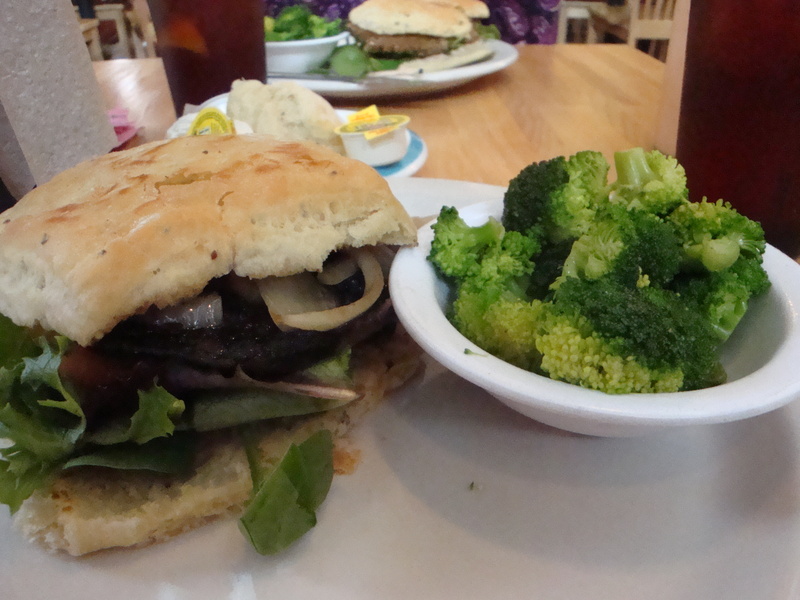 Mom wanted the Green Burger again, today I opted for the Portabella Burger. I liked the Portabello Burger, but I should have added cheese, because the lack of protein didn’t keep me as long as I would have liked. The table next to us got the daily special which was braised eggplant, it looked fabulous, I had a little bit of food envy, but then again, I wanted EVERYTHING everyone had. Yeah, I totally had a staring problem in there today. Mike came outside when I was wondering through their gardens and greeted us. Super nice guy and he’s an Astros baseball fan! 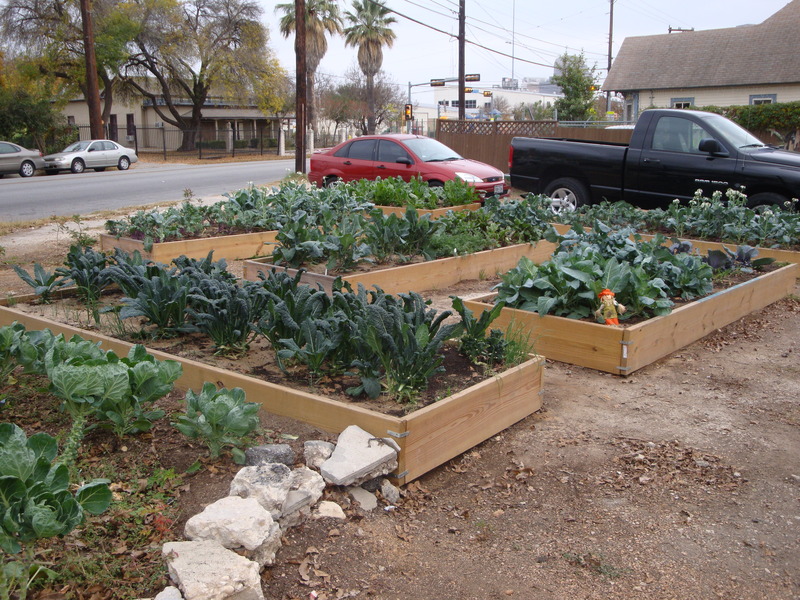 Look at these raised beds, aren’t they fabulous? DAN!!! If you are reading this, THIS is what I want! 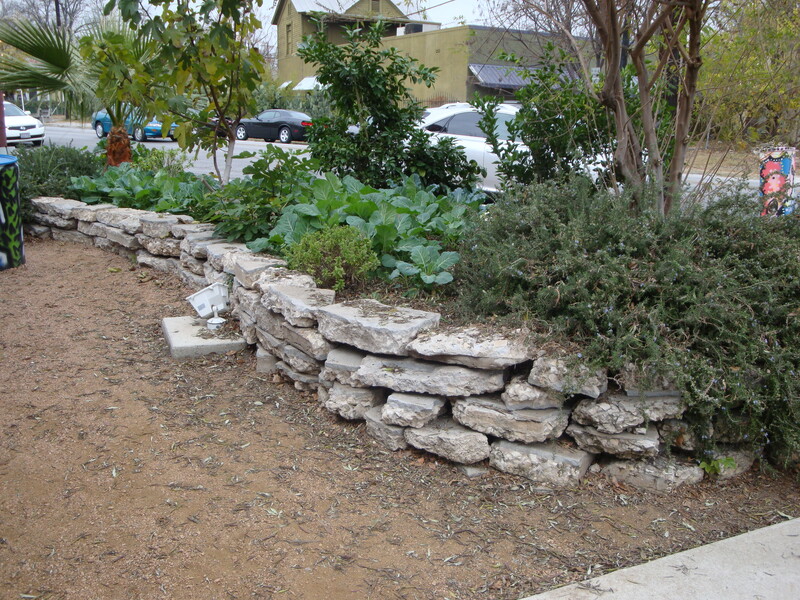 (we pretty much live on a giant boulder, planting things is hard, and no, it’s not coincidence that our neighborhood is called Boulders), lol. We then jetted off to Central Market to get some tamales and browse. Good times, although it was SUPER crowded. We didn’t explore long, but long enough for me to hit up their cafe and drink some delicious hot tea. Headed home for the day. Man, I was feeling GOOD, even commented to my dad that this was the first day in almost a week that I felt alright. Jetted off for a quick run and back to get crackin on dinner. I don’t know how my mom cooks with all of my dad’s clutter everywhere in the kitchen! 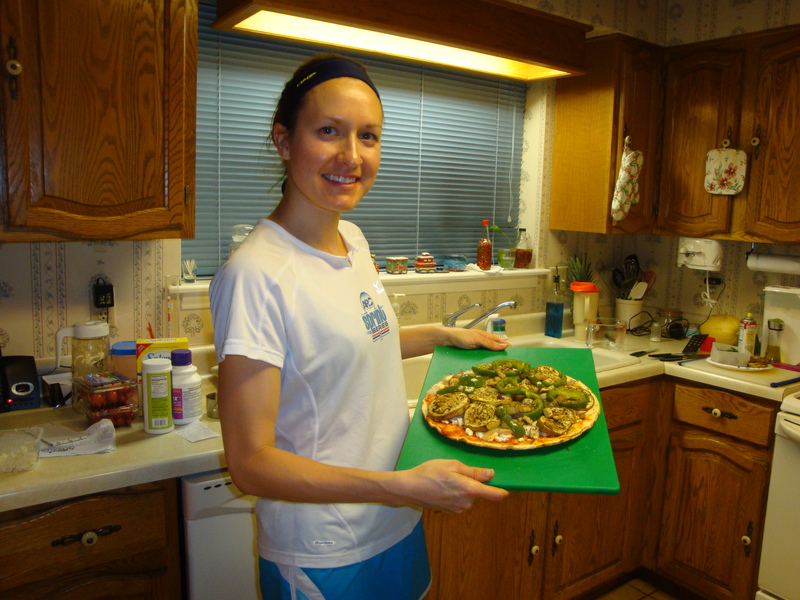 Who doesn’t cook in their running clothes? I swear most meals I cook in normal clothing. Pizza night. 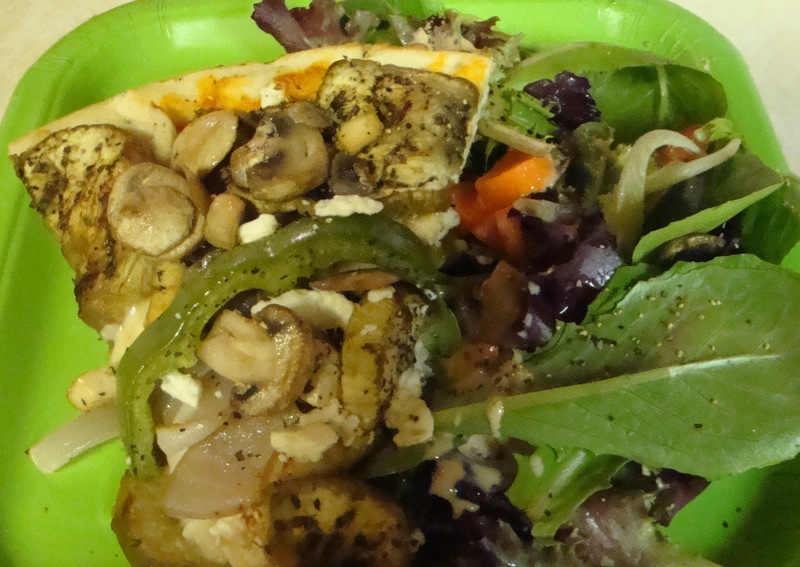 Roasted eggplant, bell pepper, and onions, baked tofu on 1/4, turkey breast on the rest, half mozzarella, half feta. Fully fabulous! 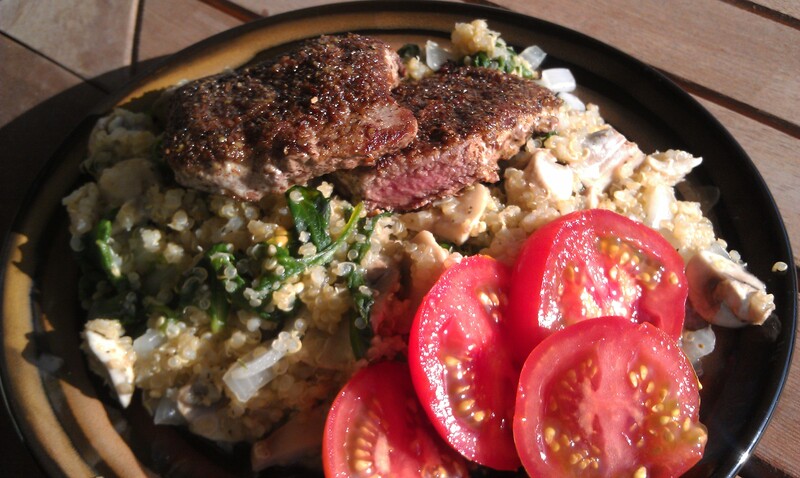 (added mushrooms after the fact for myself). That about did it for the day. Good way to spend the 1st of my 2 days off, doing alot of nothing!